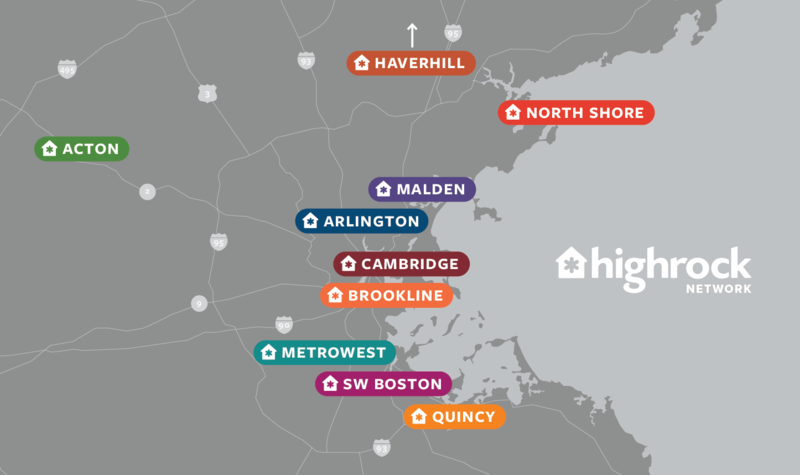 Welcome to Highrock Cambridge! If you’re new to Highrock, attending one of our Sunday services is a great place to start. To get to know us better, check out our Calendar for our next Dinner with Dave and other Newcomers Gatherings. For families with young kids, we offer a nursery where children can play and their parents can watch a video of the sermon. Toddlers may also play quietly in the back of the sanctuary and enjoy being a part of our worship service! After the service, sweet and savory snacks are available to enjoy over conversation with other Highrockers after the service. Stick around to chat with the pastors and make new connections! On Sundays, street parking and nearby public lots are free! The closest public lots are right across the street on Bishop Allen Drive. Highrock Cambridge is a block away from the Central Square T-Stop on the Red Line. Our meeting space is located right behind the H-Mart on the north side of Massachusetts Ave. Multiple bus lines also stop in Central Square. Check out the MBTA Bus Schedule for additional information and options. There's always something going on at Highrock! Check out our calendar to view upcoming gatherings and activities, and our small group page for more info on our smaller, mid-week gatherings.